The team at Claire Collinson Legal is led by Claire Collinson, a qualified solicitor with over 20 years experience of disputes and litigation. 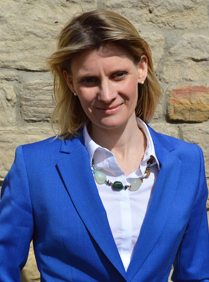 Claire graduated from Leicester University in 1995 with a First Class Honours Degree in Law, obtained a Post Graduate Diploma in Legal Practice with Distinction from the College of Law in York in 1996 and was admitted as a solicitor in 1998. Claire received various academic prizes including the Leicester University Law Department prize for the best final year student and Leicester Law Society Prize for best graduate of year intending to become a solicitor. Claire worked for Ward Hadaway, a leading regional practice based in Newcastle, between 1996 and 2007, specialising in commercial litigation and became a partner in 2005. Claire has been ranked in Chambers & Legal 500 for a number of years and has been shortlisted for the 2019 Legal 500 Dispute Resolution Solicitor of the Year. At Ward Hadaway, Claire dealt with a wide variety of civil disputes for individuals and corporate clients including insurance litigation, financial services related claims, professional negligence actions and contractual disputes. Claire also built up an extensive knowledge and experience of funding options for commercial litigation including after the event insurance and conditional fee arrangements. The vision for Claire Collinson Legal is to provide top quality legal advice at affordable and proportionate prices thereby enabling greater access to justice for deserving individuals and businesses, an issue which has always been paramount to me professionally. Since setting up Claire Collinson Legal in 2009, Claire has dealt with a wide variety of insurance and financial disputes including a significant professional negligence dispute relating to investment portfolio management, a large number of disputes with high street banks relating to interest rate hedging products and a variety of commercial and personal insurance disputes. Claire has received recognition in the independent legal professional guides Legal 500, 2013 and 2014 and Chambers and Partners, 2014 and 2015 where comments include “amazingly knowledgeable and skilled, and has a quick grasp of complex commercial issues” and “an excellent reputation among clients and peers not least for her impressively deep and broad knowledge of how insurance works”. Claire is described as “outstanding” in relation to financial services claims. 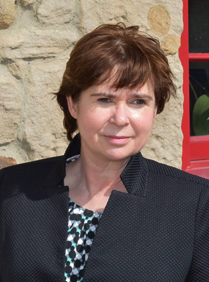 Helena qualified as a solicitor in 1995 and has worked as a litigator in a number of top North East practices. Her experience includes working within the Insurance Team at Eversheds LLP, undertaking work on behalf of Companies and Insurers in respect of claims for Injuries and Industrial Disease. Helena also worked at Watson Burton LLP as part of the Dispute Resolution Unit developing her commercial litigation skills in respect of Insurance and Professional Negligence Disputes and gaining exposure to a wide variety of Commercial and Financial Litigation disputes. Helena is accomplished in providing robust, quality claims handling and litigation services. She has excellent technical knowledge, litigation and negotiation skills and in particular has a detailed knowledge of litigation funding methods including Conditional Fee Agreements and After the Event insurance. She understands the need to provide an excellent level of service on a bespoke basis. Helena has received recognition in the Legal 500 for her effectiveness as a lawyer. At Claire Collinson Legal, Helena is dealing with a variety of insurance disputes, professional negligence claims, and claims relating to interest rate hedging products. Suzie Studied LLB Law and French at Cardiff University. She achieved a commendation in her LPC at Cardiff Law School and joined Dickinson Dees LLP in 2001 as a trainee. She qualified there in 2003, into the corporate commercial team and worked in a regulatory compliance team until joining the Pensions Team in 2004 where she acted for scheme employers, trustees and alongside scheme advisers and intermediaries. From 2012, since joining CCL, Suzie has represented individuals in pension disputes and disputes with their financial services providers. 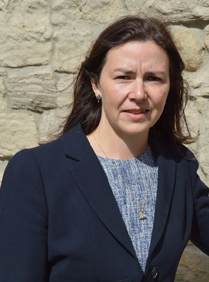 She has unique experience having represented regulated clients in non-contentious pension and investment matters, and in pension and investment disputes involving regulated providers. She has excellent knowledge of the procedures and expectations of regulatory bodies governing the financial services sector. In 2004 following the heightening of tax and financial regulation in the pension sector Suzie became specialised in this area of law. Suzie therefore has broad experience working with a variety of regulatory authorities including the OFT, HMRC, the FSA, the Pensions Ombudsman and the Pensions Regulator and, Suzie has particular expertise in investment, banking and funding documentation. At CCL, Suzie is dealing with advice on interest rate hedging disputes and investment and financial services complaints. Gill has over 30 years experience in management roles. She obtained a BA (Hons) degree from Leeds University and a Certificate in Management Studies from Newcastle University, along with many other management qualifications. She brings a wealth of knowledge, experience and skills to the team, in all aspects of business management and development. Gill began her career with Whitbread and remained with them for over 17 years, progressing to Regional and General manager. She then owned her own business, leading to a successful buyout. 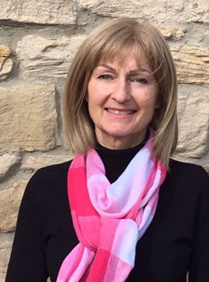 At CCL, Gill is the Office Manager, assisting Claire Collinson in all aspects of management of the firm.Gill’s role includes carrying out general administrative tasks, accounts management, file management and assisting fee earners, particularly with document preparation and diary management. Having previously been Head of Commercial Litigation at Ward Hadaway for 25 years and before that in a Lincolns Inn firm, Ian Collinson is now providing consultancy services to both Ward Hadaway and Claire Collinson Legal. Ian has recently been described in Chambers Directory as “one of the best in the country” and “an incredibly talented lawyer”. CCL can call upon his wide experience and expertise in commercial litigation and dispute resolution, in particular relating to financial services, insurance and professional negligence.